Baltimore’s Hippodrome Theatre is pleased to announce that Love Never Dies will play its special preview engagement in Baltimore as the season opener of the 2017/2018 CareFirst® BlueCross BlueShield Hippodrome Broadway Series for a limited engagement from October 3 – 8, 2017, prior to the official opening of its North American Tour. Shakespeare Theatre Company will once again welcome Members of Congress and distinguished Washington influencers onto its stage to perform in Will on the Hill, a lively show infused with comedic references to contemporary politics. 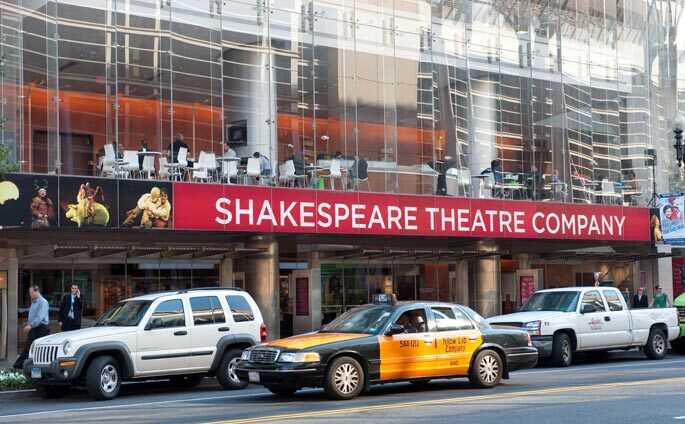 Now in its fifteenth year, the much-loved bipartisan event for theatre and political fans alike will return to STC on Monday, June 12 at Sidney Harman Hall (610 F Street NW) at 7:30 p.m. Exclusive Interview with Lizzie Markson, Sophie in the touring production of Mamma Mia! The long running Broadway musical, Mamma Mia! is touring across America for its Final Farewell Tour. This weekend, it will make a stop at the Hippodrome Theatre in Baltimore, MD. The show which is based on the songs of ABBA, closed after a fourteen year run on Broadway. On this edition of INTERVUE, we have Lizzie Markson who plays Sophie in the musical. Woolly Mammoth Theatre Company is pleased to announce its 2016-2017 season, beginning with a world premiere and continuing with hotly-anticipated new plays by award-winning playwrights. Woolly’s new season features the work of Jen Silverman, Guillermo Calderón, Clare Barron, Nilaja Sun, Taylor Mac, and The Second City.